PRICES ARE ACTUALIZED BY THE RUBLE COURSE as of May 6, 2015 (0.45 CPC). PRICES MAY CHANGE. REFINE AT THE BOOKING. 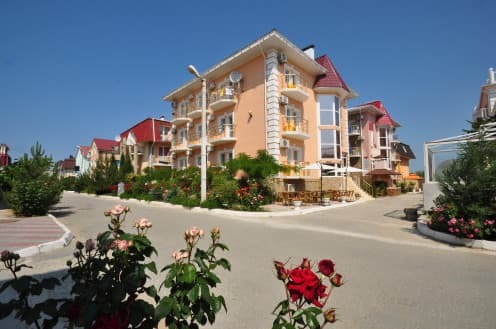 Hotel "Enigma" is located on the territory of the "Skif" base, 100 m from the sea (clean, pebble beach). The hotel area is under protection all year round. The hotel offers comfortable rooms equipped with TV, air conditioning, refrigerator. Each room has a 3-meter balcony, san / node. Rooms are cleaned daily, linen is changed on request. 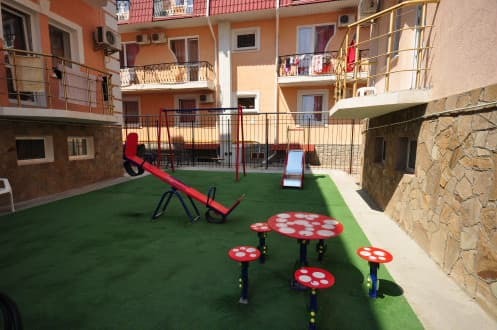 On the territory of the hotel "Enigma" there is a summer cafe, a cafe-bar on the ground floor, a children's playground. Paid guarded parking is located next to the hotel. It is possible to arrange sightseeing trips around the Crimea, transfer. In walking distance are: a bank branch, a market with shops, a first-aid post with a pharmacy kiosk, a massage therapist's office, a hairdresser, Turkish and Finnish saunas. Unobtrusive service, good cuisine, comfortable rooms, proximity to the coast will make a holiday in Nikolaevka unique! Description of the room: Cozy one-room with a double bed, satellite TV, air conditioning, refrigerator, crockery. Also, guests are provided with a beach umbrella. Description of the room: A cozy one-room is a large room with a laconic design of soft light colors. In the room there is a double bed, a folding armchair-sofa, air conditioning, a refrigerator, a set of dishes. A beach umbrella is provided. 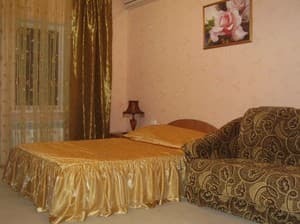 Description of the room: A large room, laid with a soft carpet, a double bed, a table lamp near the bed, a folding sofa, a treble with a mirror, the necessary utensils, air conditioning, a refrigerator. A beach umbrella is provided. 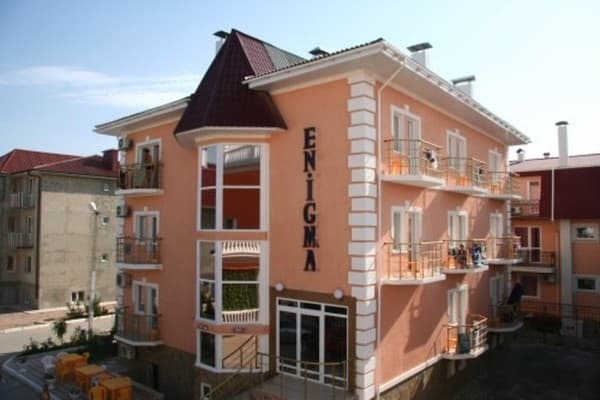 Hotel "Enigma" is located in the village. Nikolaevka in the base of the "Skif". The distance to Simferopol is 45 km, to the airport - 60 km. 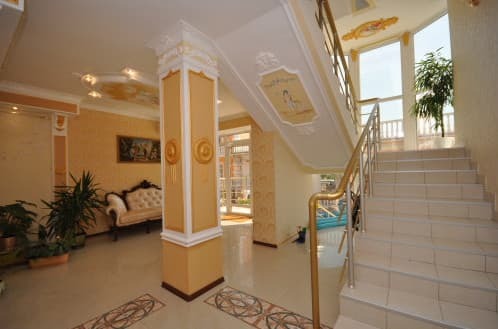 To the sea - 100 m, to the market and shops - 100 m, to the nearest bank branch - 150 m, to the park zone (park of the boarding house "Energetik") - 100 m.
You can get to Nikolaevka from Simferopol by taxi or by bus. The journey takes about an hour. You can arrange a meeting and transfer to the hotel from the railway station / airport of Simferopol (for an additional fee).